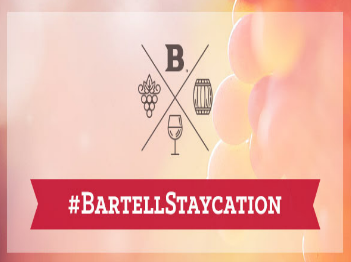 Bartell Staycation Sweepstakes – Win a nights’ stay at Willow Lodge in Woodinville & more! Win a nights’ stay at Willow Lodge in Woodinville, WA, dinner for 2 and a Bartell Drugs gift basket! Washington residents only may enter. ENTER SWEEPSTAKES HERE – Bartell Drug Sweepstakes page. ENTRY LIMIT – One entry per email address per day is allowed to enter into the contest. ELIGIBILITY – The Campaign (“Bartell Staycation Sweepstakes”) is open only to legal residents of the United States who are at least twenty-one (21) years old, their legal addresses is in Washington State. SWEEPSTAKES ENTRY PERIOD – The Campaign begins at 9:00am PST on March, 5th, 2018 and ends at 11:59pm PST on March, 24th 2018. PRIZES – One (1) First Place Sweepstakes Prize is available. One (1) winner (“Sweepstakes Prize Winner”) will receive a trip for him/herself to HOTEL (the “Trip Package”). Trip Package includes one (1) night’s accommodations in a nicer-style guest room at Willows Lodge, arrival wine tasting in Willows Lodge lobby, dinner for 2 in the Barking Frog (value $200.00). The Sweepstakes Prize Winner will also receive a Bartell Drugs gift basket with an approximate value of $150.00. Total Approximate Retail Value (“ARV”) of Sweepstakes Prize is $819.00.